Conjunctivitis (Apollo) is a common and uncomfortable eye condition that can be caused by infections or irritants. The conjunctiva is thin clear tissue covering the front of the eye. One or both eyes may be affected, and the condition can spread from one to the other. Apollo causes swelling, itching, burning, and redness of the conjunctiva, the protective membrane that lines the eyelids and covers exposed areas of the sclera, or white of the eye. It is caused by a virus which is very contagious and spreads easily. At it’s onset, conjunctivitis is usually painless and does not adversely affect vision but can be uncomfortable. WHAT ARE THE SYMPTOMS OF APOLLO. On prevention, stay away from affected persons as much as possible to prevent spreading of the disease. It recommended that affected persons should stay away from school or work until the conditions resolves. Wash hands frequently and and avoid rubbing the eyes with unclean hands to prevent the disease. People should desist from sharing towels, beddings and other items with affected persons. To get the right treatment of Apollo you need to know the cause and to get the right diagnosis of the signs and symptoms you need to see a professional. The doctor will usually diagnose the condition based on examination of your eyes and the history that you give. A doctor can prescribe a topical antibiotic for bacterial conjunctivitis or an antihistamine or eye drops for swelling caused by an allergy. You can also use cold water to treat Apollo. I tried this and it worked real fast. I used a cold pure water, I mean very cold water. Open your eyes and pour the cold water into your eyes. Do this at least twice a day. You feel relieved and it works very fast. 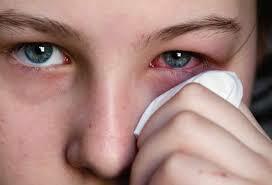 To immediately ease itching clean the eye using clean warm towel, gently rub with washcloth. Make sure you use clean clothes each time you do this to avoid contamination. If you have been confirmed to have conjunctivitis, then you have to practice good hygiene to prevent it from spreading from one eye to the other or to other family members and friends. Wash your handsregularly and if possible disinfect it as well. Drops are a necessary treatment so you have to do it regularly. No matter how tired you are it is important to always follow your doctor’s prescribed regimen. When you put the eye drops in, try to make sure that the eyedropper itself doesn’t touch the eye and re-contaminate your eyes. Money matters to women,but ambition matters too.